← is today a good day for fishing ? Hi guys!I have committed a terrible crime. I feel ashamed to tell the truth but nothing can be done, I have to do it. 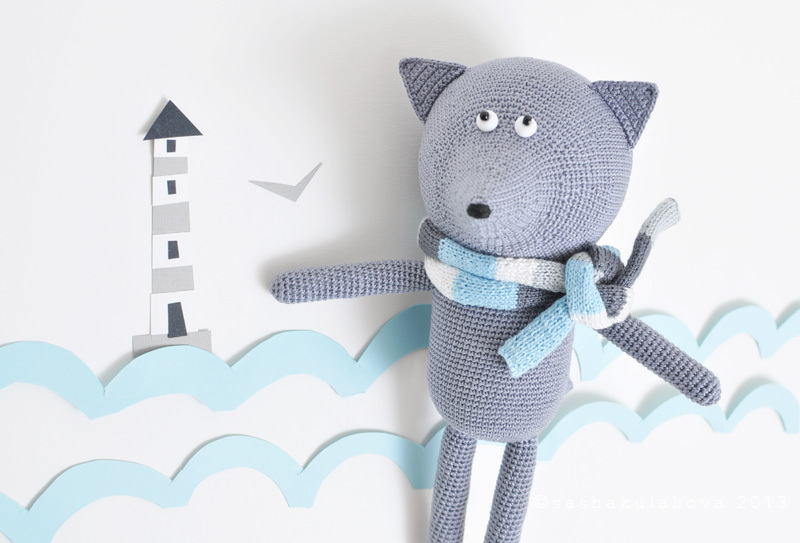 last summer I crocheted an awesome wolf, that loves the sea. 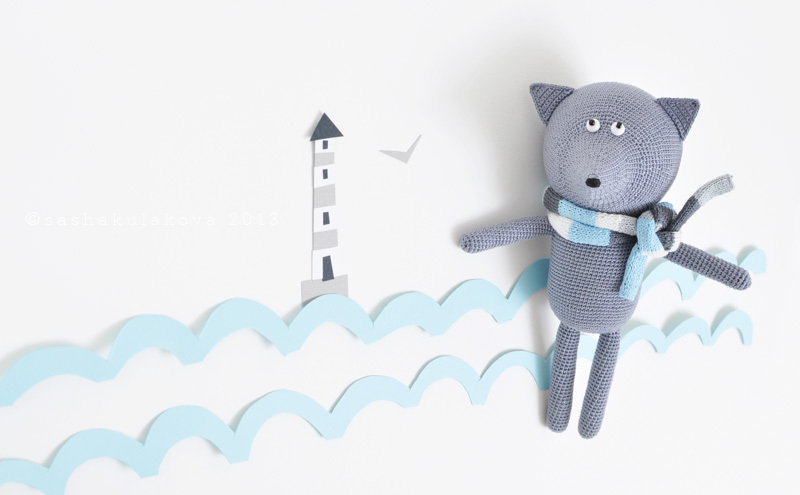 Unfortunately I haven’t managed to take the wolf to the sea in order to take photographs of him there. He has been waiting for his debut in the pages of my blog in the wardrobe for the whole winter. Today I’m going to make up for it and show you my lovely wolf. However he hasn’t been to the sea yet. So he is sad now, my poor wolf, and still dreaming about the seaside. Is there anyone among you, my readers, who lives by the sea? If there is, my wolf would be happy to move to your place. A small house on the coast of Cornwall, the White Sea or in the area of Norwegian Fiords would make my wolf happy and delighted (well, this is what he told me, anyway). This entry was posted in Posts and tagged animals, crochet, wolf. Bookmark the permalink.